The difference between coffee and espresso is the method of brewing used. As such, machines used to brew espresso will differ from the coffee brewing machines. Regardless of the types of beans used, you need a good espresso machine in order to make a good cup of espresso. The Rancilio Silvia Espresso Machine is one of the best, in this regard. The product is comparatively expensive, with its price ranging between $650 and $1000. The machine can benefit from some add-ons, such as a pod adapter kit, PID kit, grinder and tamper. Buying such things only makes the machine more expensive. The Rancilio Silvia is one of the espresso machines, within its category, that offer the best value for money. This semi-automatic machine is of high quality and is very durable. The machine is also easy to maintain; the heating element may be removed and cleaned with ease. Again, the machine is easy to use and brews some of the best espresso drinks. 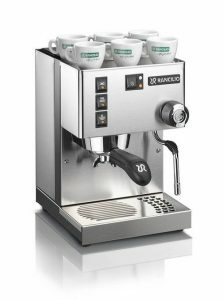 Taking the built quality, durability and performance of the machine into account, the Rancilio Silvia is fairly priced. 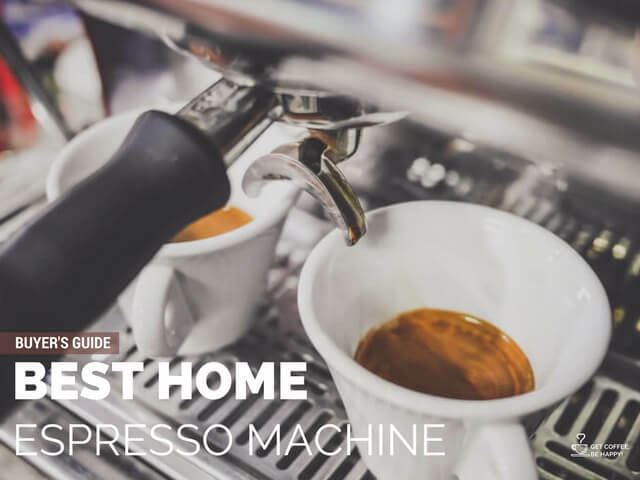 With the machine in your home, you can enjoy a cup or two of the best espresso every morning. Since the machine is semi-automatic, it is considered to be ideal for users who cannot make a cup of espresso or coffee on their own. With the help of the machine, you can make a good cup of coffee, regardless of your level of skills in cooking. The Rancilio Silvia is a popular espresso machine that features impressive aesthetics, quality built and delivers good results. Owing to its premium extraction quality and heat stability, many of its users have something positive to say about the machine. The machine bears some resemblance to a tank, but most of its users love its design. Based on numerous consumer reviews, the product offers a good visual appeal. In this regard, the stainless-steel housing used on the Rancilio Silvia makes it good looking on virtually any kitchen décor. The machine is often placed on kitchen countertops due to its weight, about 30 pounds. With regards to its durability, this machine is mainly built both semi-commercial and commercial grade materials. Most of the parts used in the machine are either made of cast iron or stainless steel. The use of these two materials in building the Rancilio Silvia Espresso Machine makes it very durable. Having used this espresso maker, I can attest to the fact that the Rancilio Silvia machine brews some of the best espressos today. The machine is semi-automatic and features quality elements that help it to offer maximum heat stability and distribute water evenly. 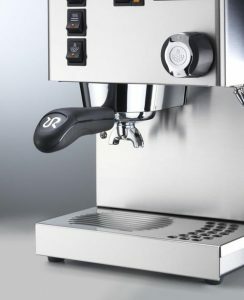 As compared to other entry-level espresso machines, the Rancilio Silvia has a bigger boiler, with a capacity of 12 ounces. Being a high performer, the machine takes about 20 minutes to warm up. Some users suggest that you should run some warm water through the espresso machine prior to brewing. According to such users, this will help warm its port filter and pipe, hence enhance the quality of espresso you make. The machine has a number of switches and controls that are easy to use. Some of the switches used in this model are similar to the ones used in the popular S20 series by the same manufacturer. 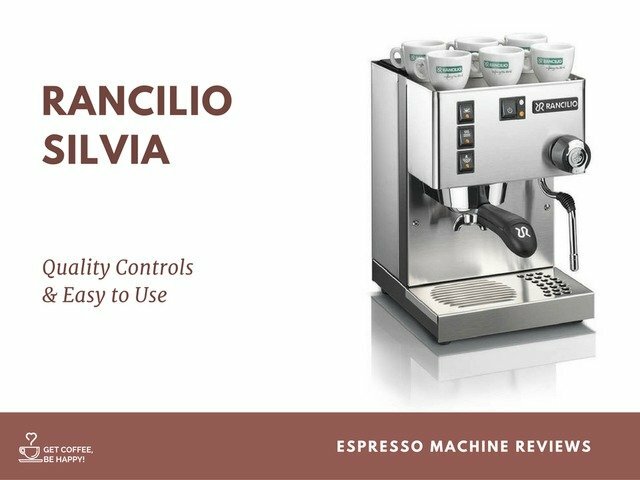 This suggests that the Rancilio Silvia is a high-quality machine that features high-quality controls. Turning the power button on, situated at the center of the machine, activates the heating element. To the left-hand side of the machine is the ‘brew switch’ that is used to operate the pump. You can use the middle button, on the left panel, to dispense water while brewing your espresso. Additionally, the machine has two thermostats, three temperature controls, and a high limit. The high limit is important in that it prevents the machine from overheating. The Rancilio Silvia Espresso is the perfect brewing machine for beginners. In this regard, it is specifically built to be easy to use. As such, you only need to press the right buttons to put it on or turn it off and to begin and terminate the brewing process. The first time I used this machine, I found the fully articulating steam wand very helpful. It features a good group head – this allows the machine to achieve excellent heat stability and deliver a good extraction quality. Comes with Ergonomic porta filter handle – this is the same handle used in some of the popular Rancilio Premium machines. An impressive design – the linear, classic appearance of the machine makes it ideal for almost any kitchen décor. It has an Articulating steam wand – this feature allows the user to regulate the pressure within the machine more precisely. Although the Rancilio Silvia machine may appear too expensive to some people, it is one of the best home appliances that come in handy. The machine will allow you to make premium-quality espresso every day. The unit is good looking, durable and very effective at what it does.